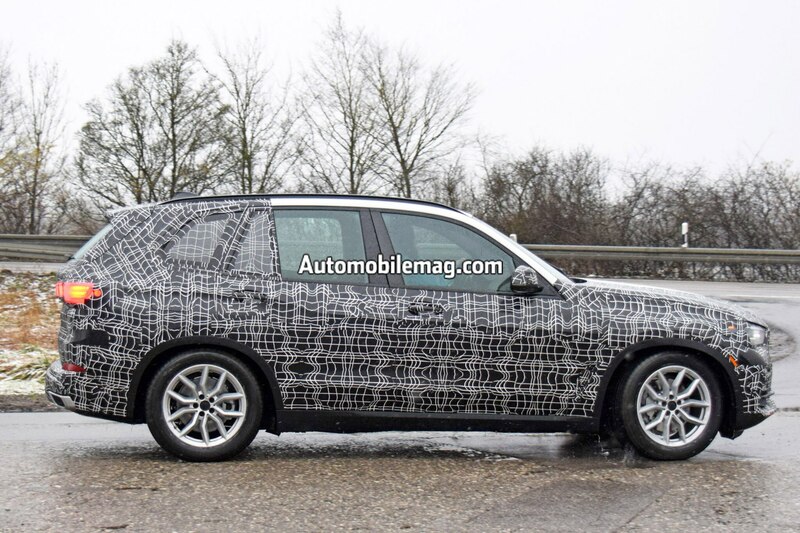 Based on the light camouflage seen in these photos, it looks like BMW is nearly finished developing the new X5. 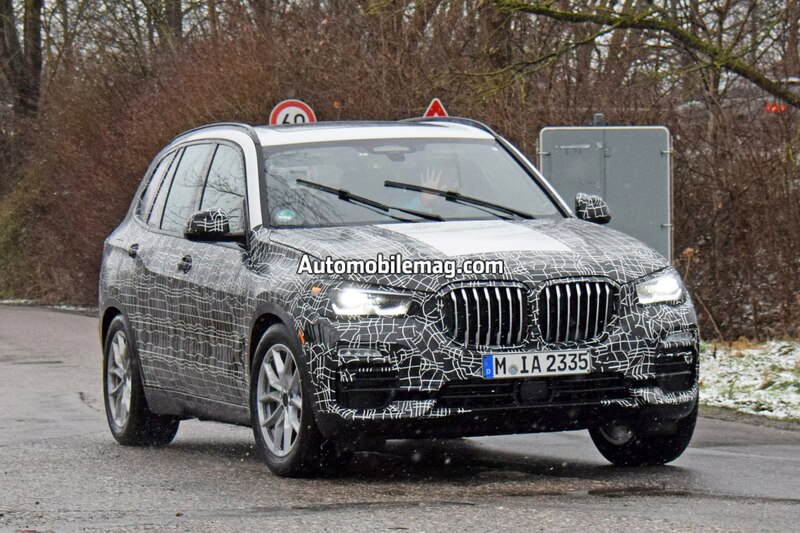 Considering the current X5 went on sale back in late 2013, that’s probably a good thing. 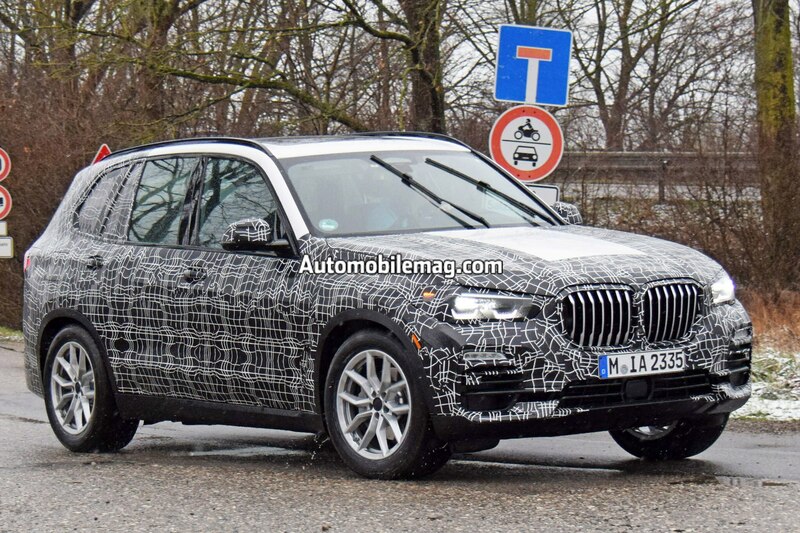 The plug-in hybrid version made an interesting addition to the lineup for 2016, but if BMW wants to outsell competitors like the Mercedes-Benz GLE, Acura MDX, and Cadillac XT5, the X5 needs a significant update. 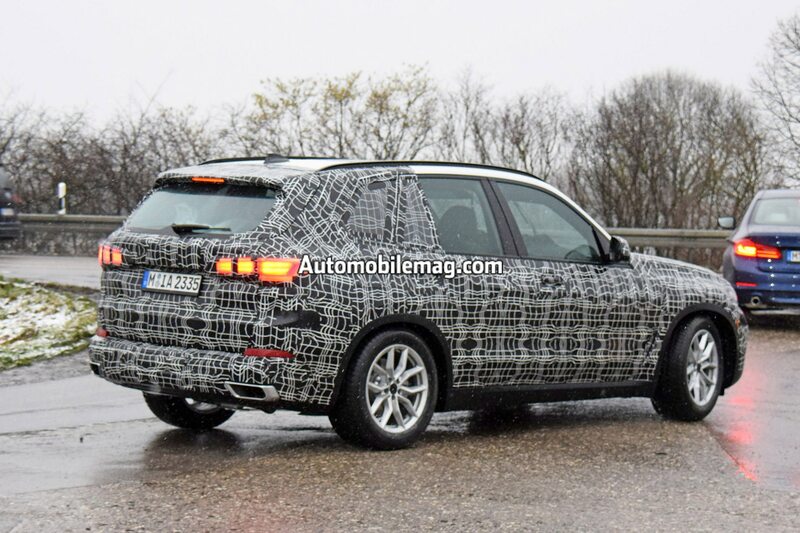 Our spy photographer caught this prototype driving around wearing only basic camouflage, which means we can finally see some of the exterior design details. 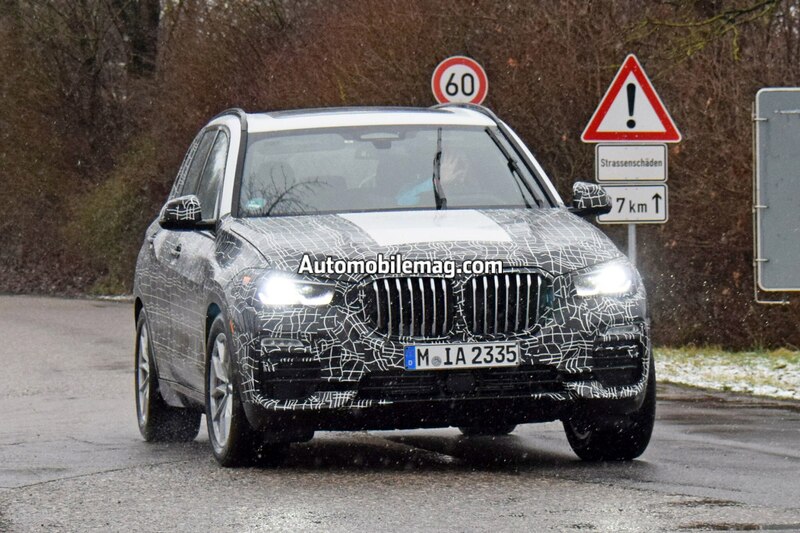 In general, the changes aren’t especially drastic, but the reshaped headlights and taillights are relatively easy to make out. 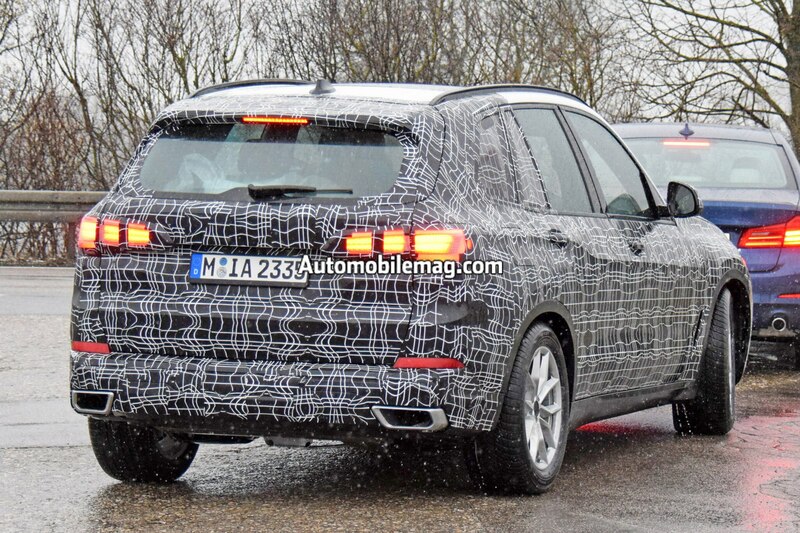 In profile, there’s also a new character line that kicks up to highlight the rear fenders. 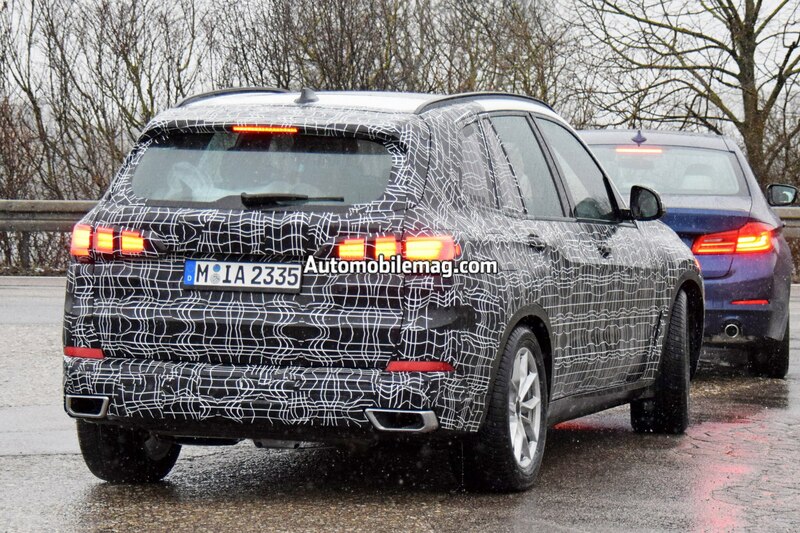 It looks like designers left the air vent behind the front wheels, too. 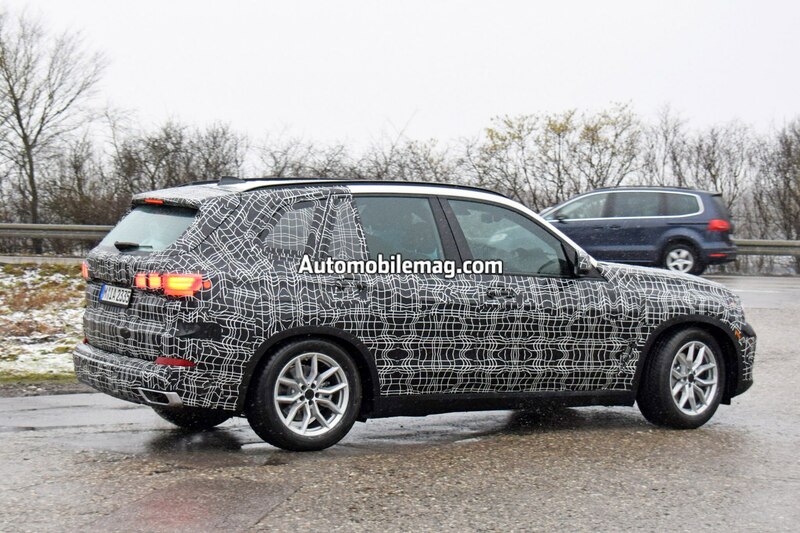 The biggest change we can see, however, is to the X5’s fascia. 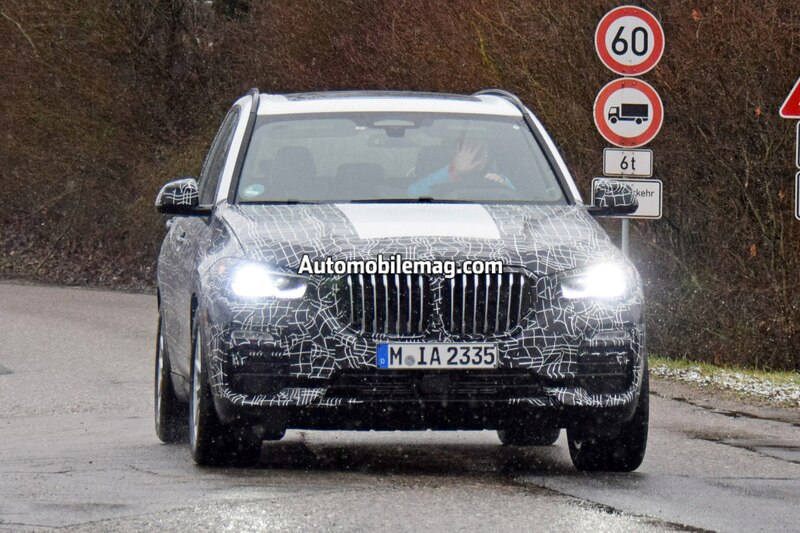 The current double kidney grille isn’t exactly tiny, but the one on this prototype is absolutely massive. 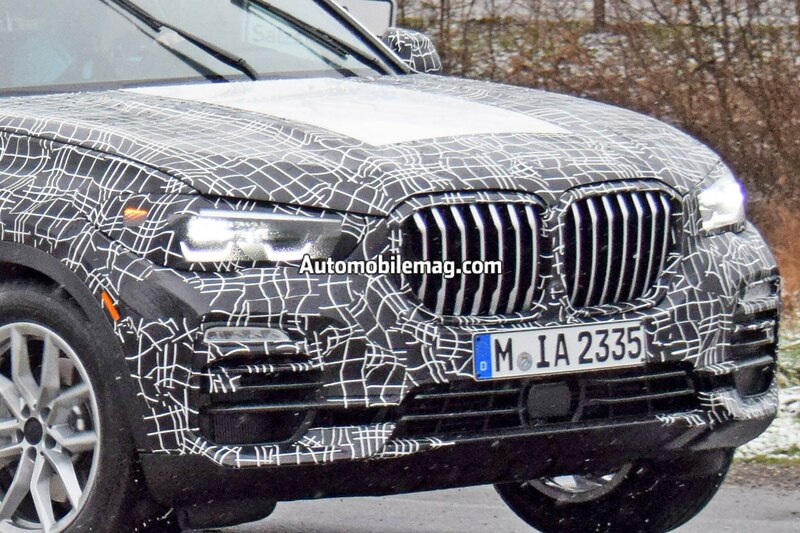 Whether we like it or not, it looks like the X7 iPerformance concept’s huge grille will end up on more than just the production X7. 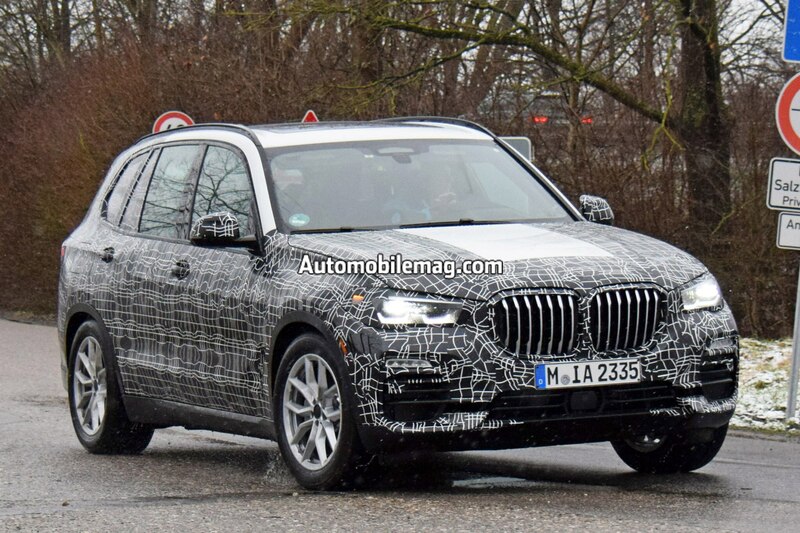 Considering that the 2018 X3 made it to production without the controversial front end, we thought there was a chance the X5 might get a similar treatment. As it turns out, we were wrong. 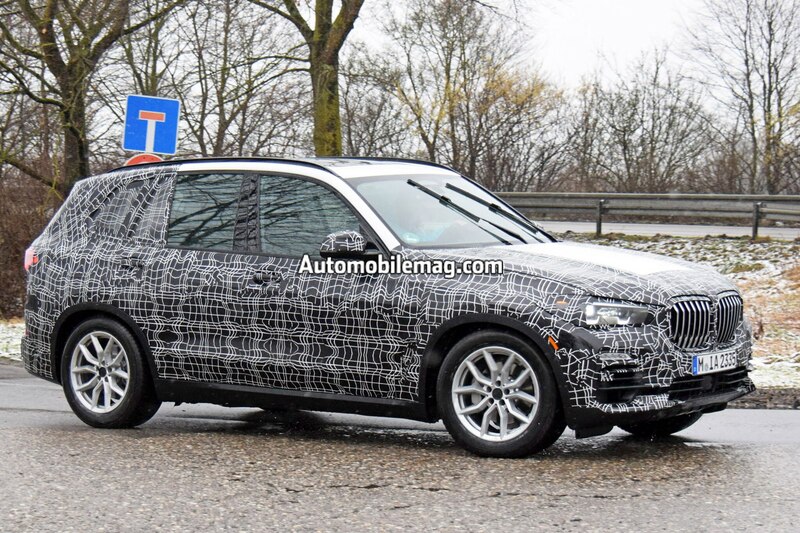 Since we still haven’t seen a completely undisguised X5, there’s a chance we’re being too hard on its new front end. But on the other hand, that grill looks humongous.